Mobile network Three has confirmed its 4G network has now achieved 92% indoor coverage, partly thanks to the use of former Freeview frequencies. Since Freeview completely vacated the 800MHz frequency band in mid-2013, all mobile network operators have been busy rolling out 4G/LTE services in that frequency band to reach more users. Three's frequency allocation is closest to the frequencies still used by the digital terrestrial TV service Freeview, and may in some cases contribute to Freeview interference. However, Three has been relatively late in widely deploying 4G at 800MHz with much of the 92% coverage being achieved by using other frequencies that don't interfere with terrestrial TV. Instead, much of its 4G traffic goes through the 1800MHz frequency band. This means the scope for 4G interference from the frequencies closest to Freeview is limited, although 4G services from other network operators operating in the 800MHz band continue to cause trouble for a small number of households. The number of devices able to connect to Three's 4G network at 800MHz is also limited, with Three's allocated chunk of the 800MHz band being used to support Three's "Super Voice" VoLTE service. 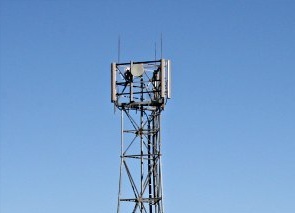 Taking into account 4G interference caused by all operators in the 800MHz frequency band in the UK, the latest available data up to the end of May 2016 counted 15,163 confirmed cases of 4G Freeview interference - as logged by at800, the company responsible for mitigating interference on behalf of the mobile network operators. In May, 508 confirmed cases of 4G Freeview interference were identified, with engineers visiting 1,543 homes and 344,000 households receiving a mailshot about the potential for 4G interference to their TV signal. Viewers who think 4G might be to blame for their interference should visit the at800.tv website for more advice and support. 4G/LTE services should not affect satellite and cable reception.